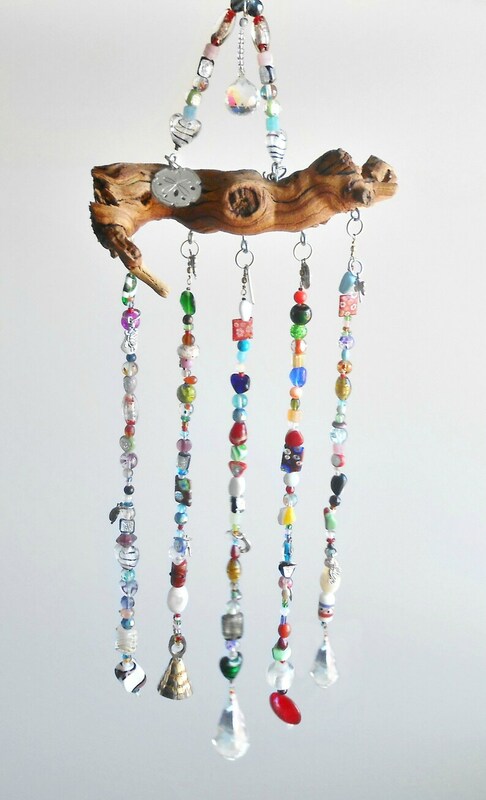 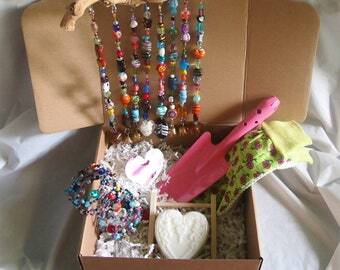 Complete your garden sanctuary with this spectacular driftwood and glass bead suncatcher featuring 3 large crystal prisms, a brass bell, 12 metal beach themed charms including a large sand dollar, starfish, turtles and other beach life and 5 strands of beautiful handmade designer glass beads so that your garden or window will catch the sun in a sparkling, vibrant cascade of color and every breeze with delightful tinkling tones. 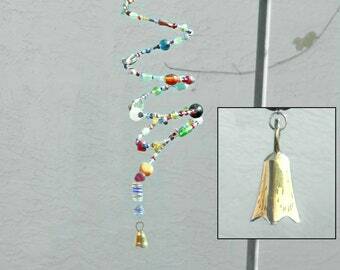 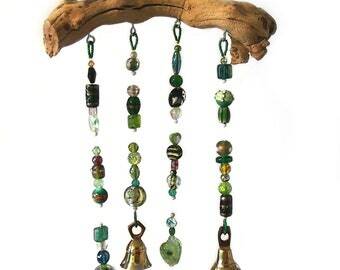 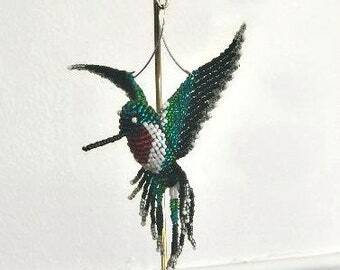 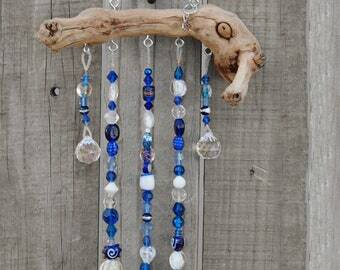 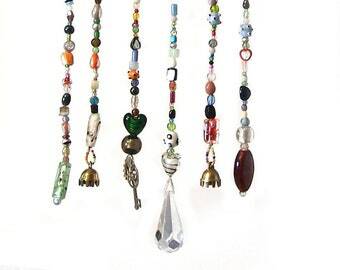 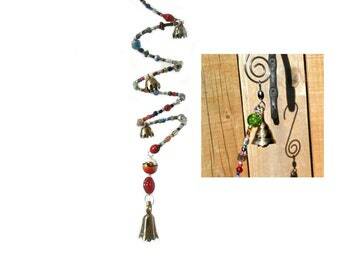 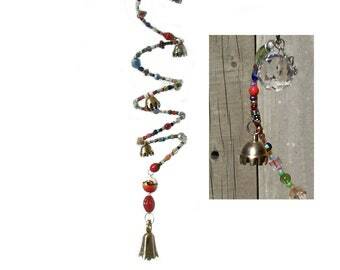 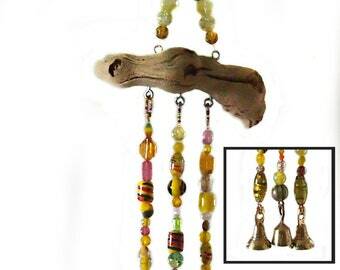 This bead and crystal driftwood/grape wood mobile includes a stylish curled silver tone steel S-hanger. 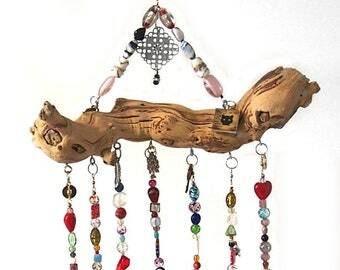 Wood is 8 inches long. Length of mobile including hanger is 24 inches.